A comedy based on the autobiographical essay of Jun Nishimura, a cook assigned to work at Dome Fuji Station in Antarctica as part of an eight-man crew. 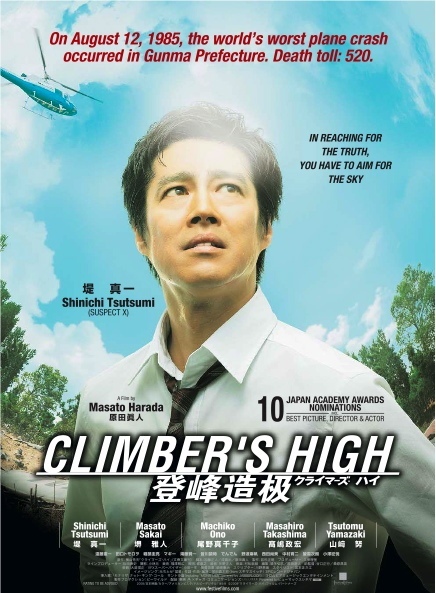 Based on a novel by Hideo Yokoyama of an airplane crash in 1985, its impact on a local newspaper, and the difficulty its reporter, Kazumasa Yuki, faces under pressure. 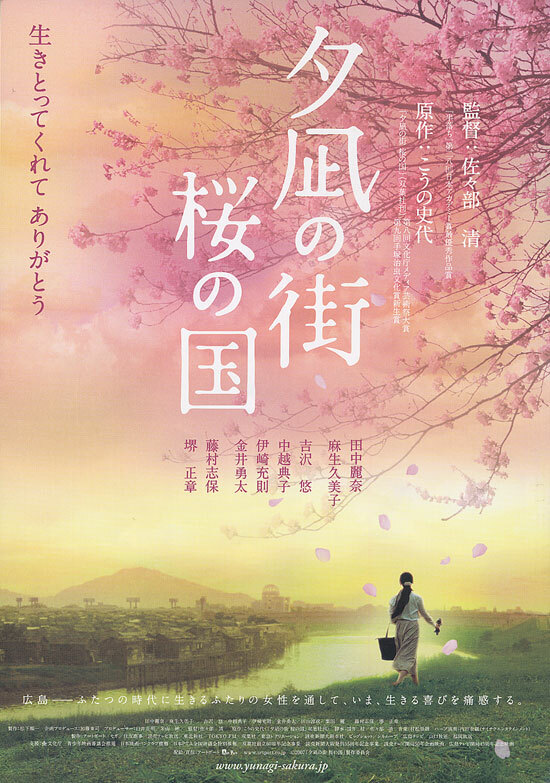 Based on a manga comic by Fumiyo Kono, a story about those who survived the atomic bomb in 1945 and the generations following. The film shows the viewpoints of two women, one from the past and the other from the present day. A story of a writer, Otani, and his wife, Sachi, who sticks with him despite his debts, alcoholism, and affairs. 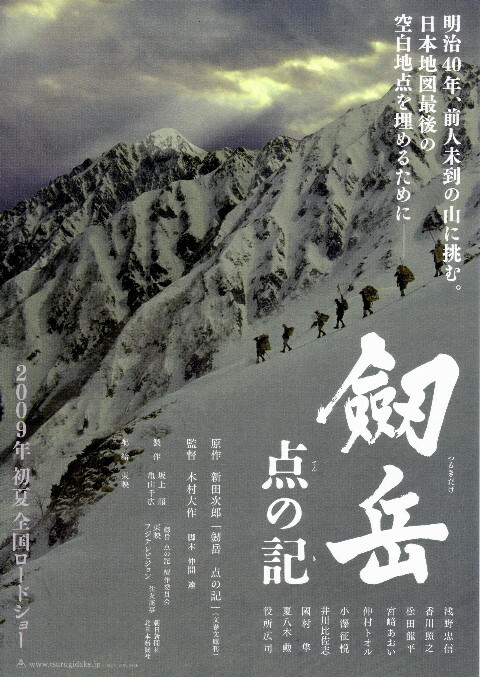 In 1907, neither for fame nor for profit, a band of men challenge Japan’s last unconquered mountain, Mt Tsurugidake, in order to complete a map of their nation. 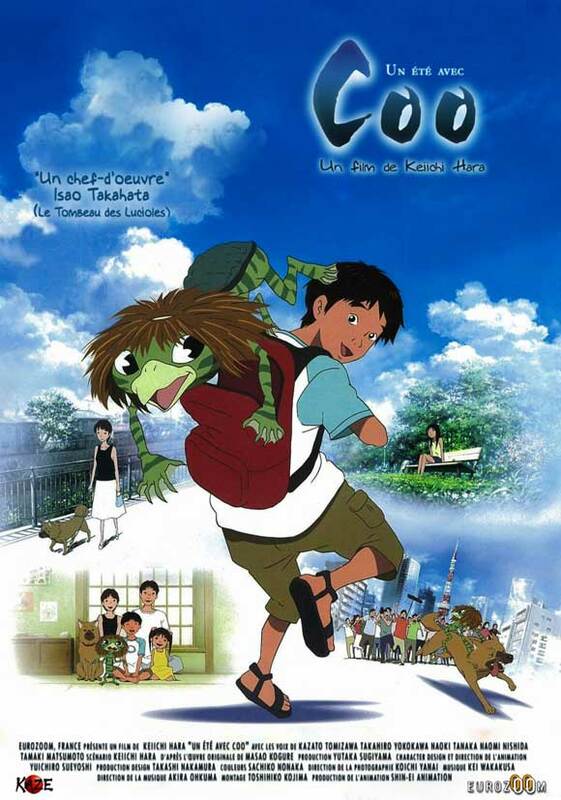 An animated movie of Coo, a lone Kappa, who survives over 200 years and is found by a boy named Koichi in modern day Tokyo. 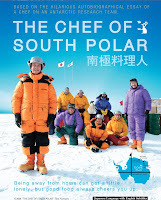 Coo is faced with a tragic past and the challenge of living in the present environment. He and Koichi search and hope to find any remaining of his kind. Suzuko has trouble fitting in and jumps at the chance to move out of her parents house but eventually gets in trouble with the law. Returning back to her family and neighborhood, the peering eyes of those around her pushes her to save one million yen and move out of town. The story of friendship between two girls, Emi, who has a kidney disease, and Yuka, who has a limp from a car accident which was partly caused by Emi. Although Yuka initially holds a grudge, the two eventually grow closer. Through all the trials they experience over the years, they still remain friends. Haiji, a university student, has given up his dream of running the Hakone Ekiden (marathon relay) due to injury...until he meets elite runner Kakeru. Gathering eight other housemates, who have never run before, they form the necessary team of 10 athletes to fulfill Haiji’s dream of qualifying for the ekiden. More information at The Japan Foundation, Manila or you may call the Consular Office of Japan in Cebu at (032) 231 7321. PS "Eiga Sai" literally means "film festival".